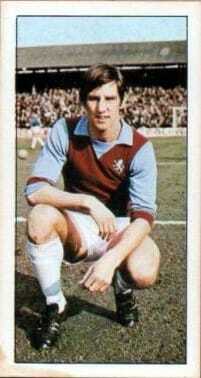 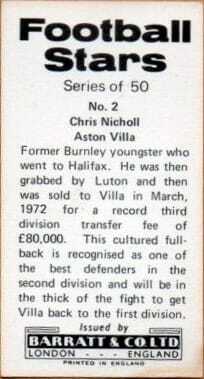 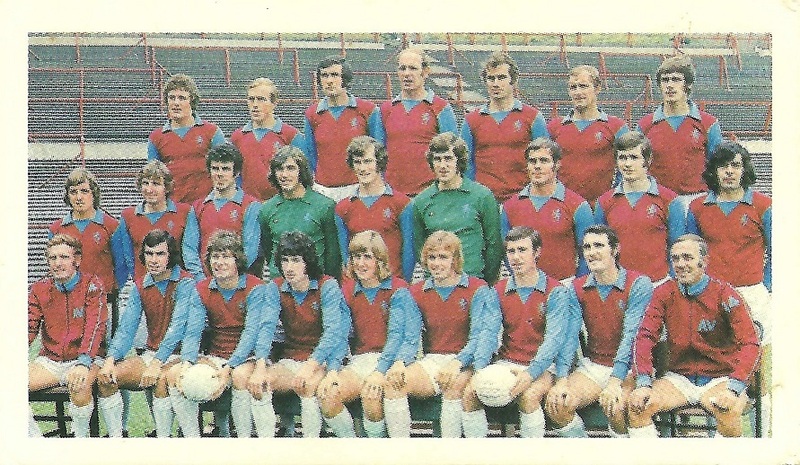 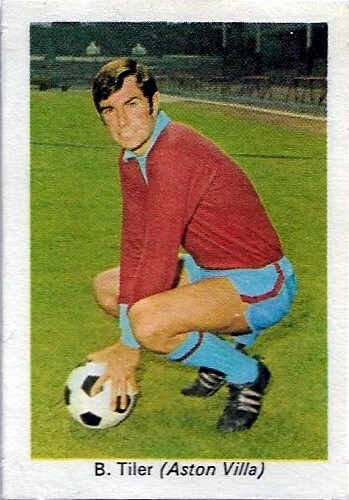 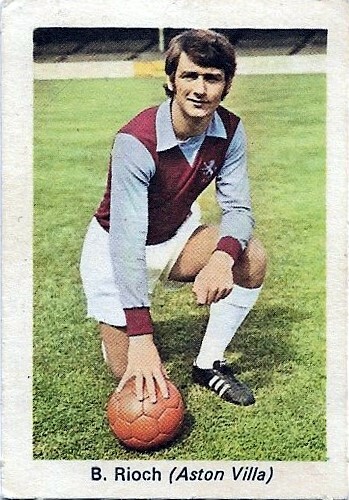 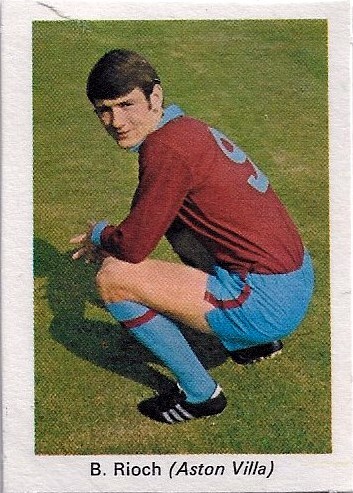 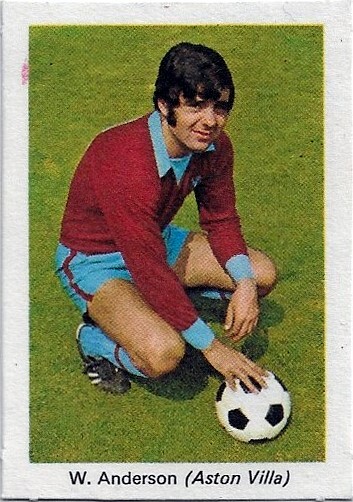 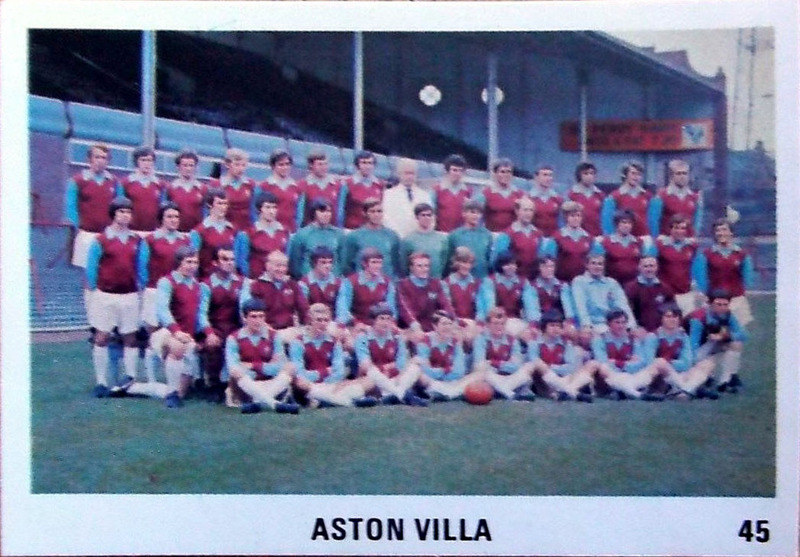 Things got worse for Villa as they sunk down to Division 3 in 1970, before crawling their way back out. 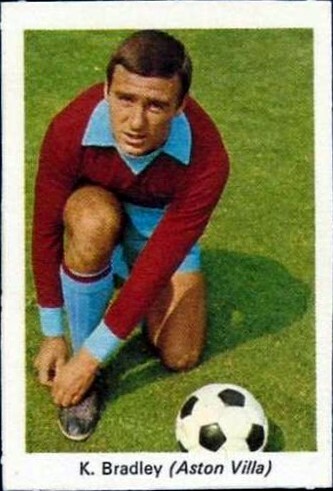 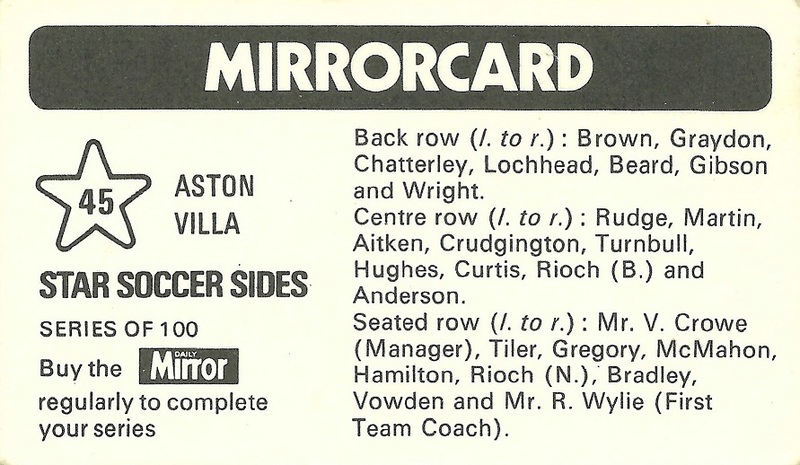 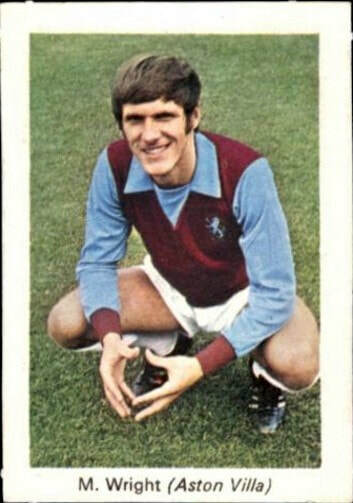 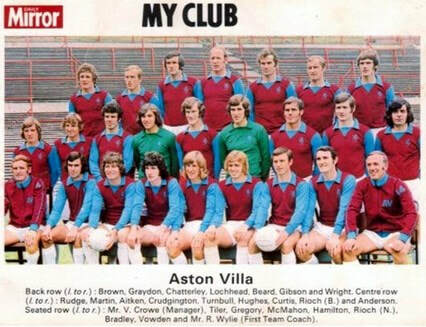 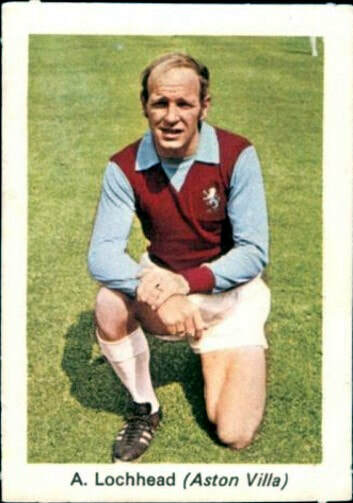 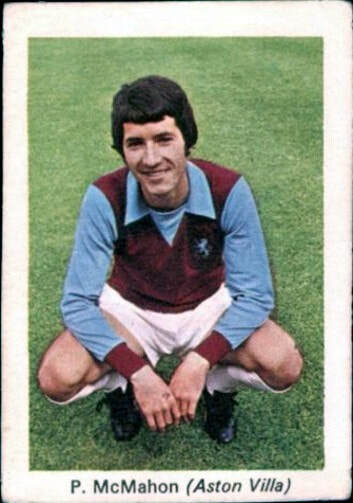 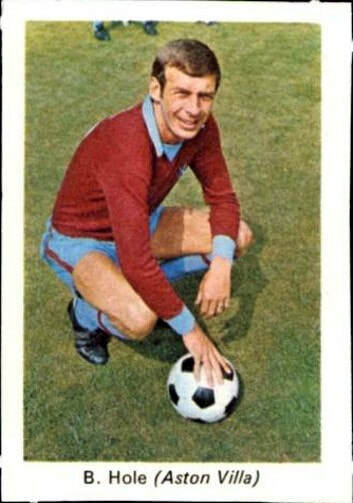 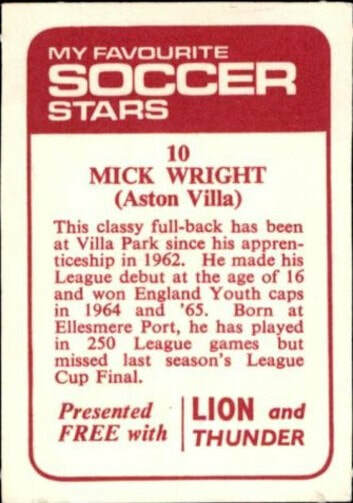 The only bright spot came in the League Cup of 1971, where Villa went all the way to the final, beating Man U in the semis, before losing to a couple of late goals at Wembley. 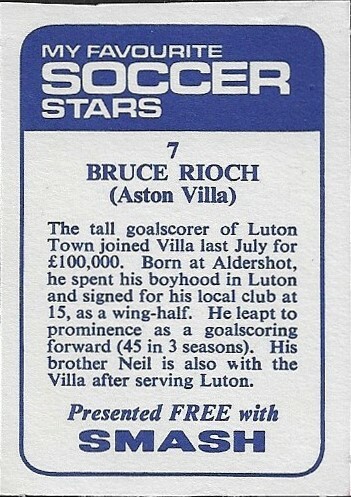 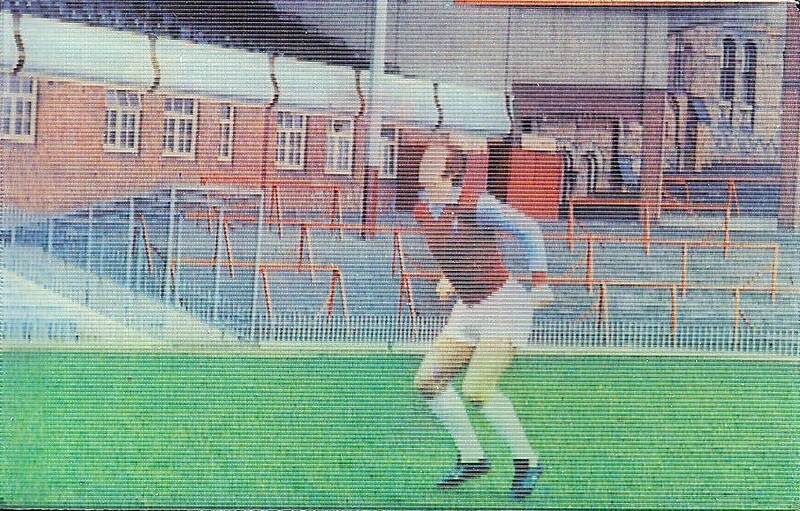 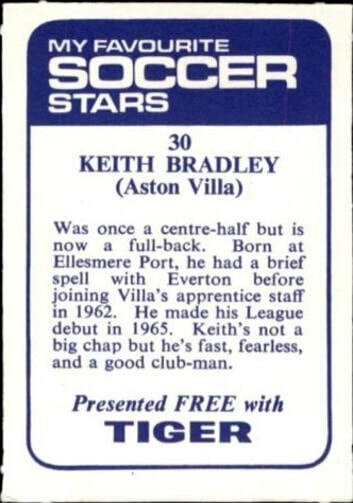 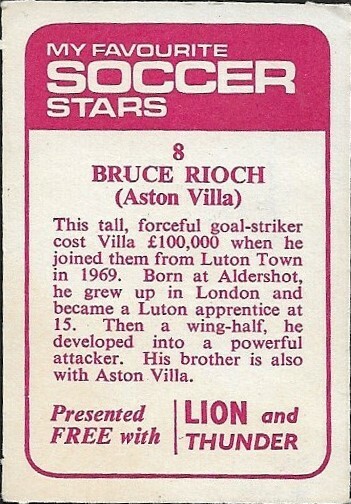 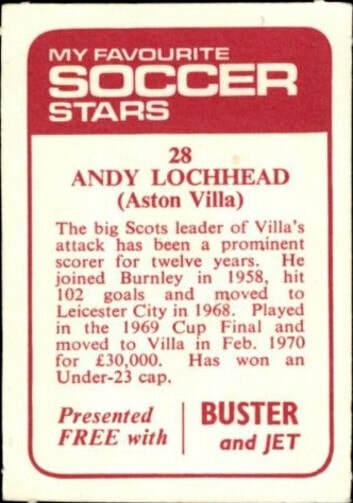 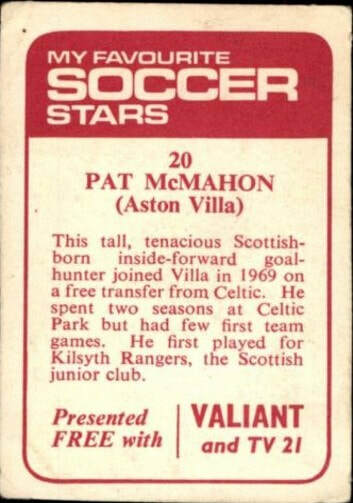 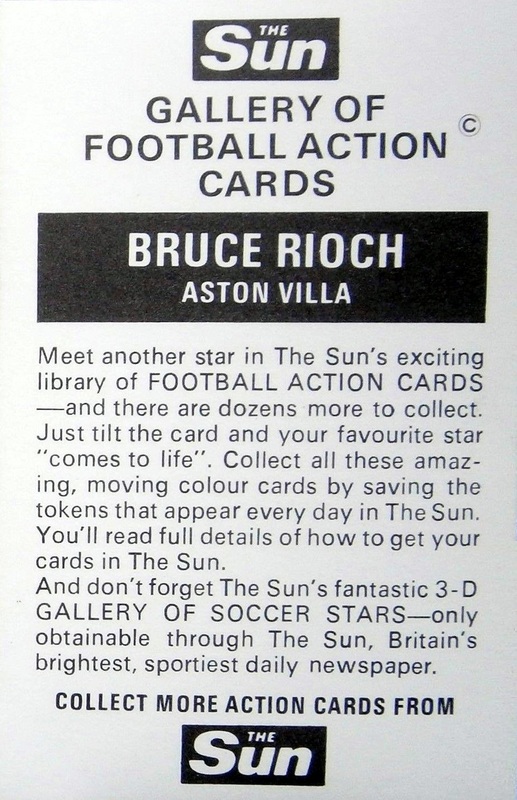 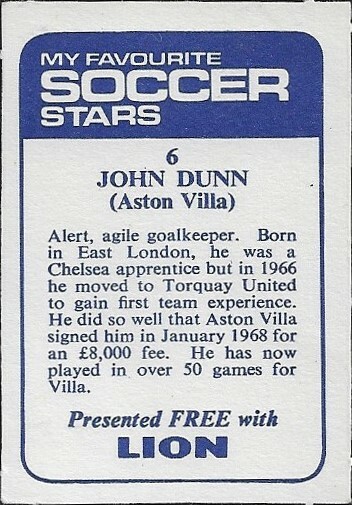 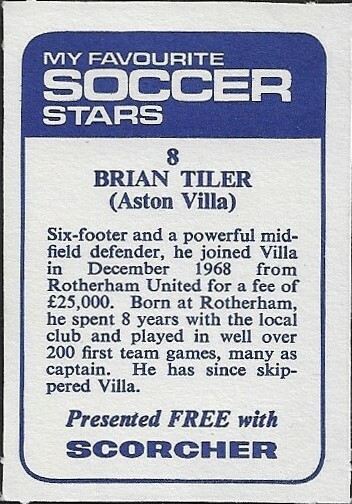 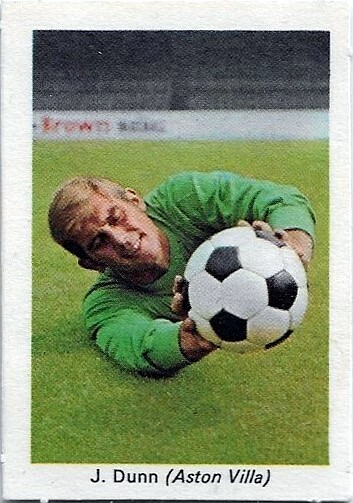 Despite their league status being in the doldrums, the club's fan base ensured that football cards continued to appear. 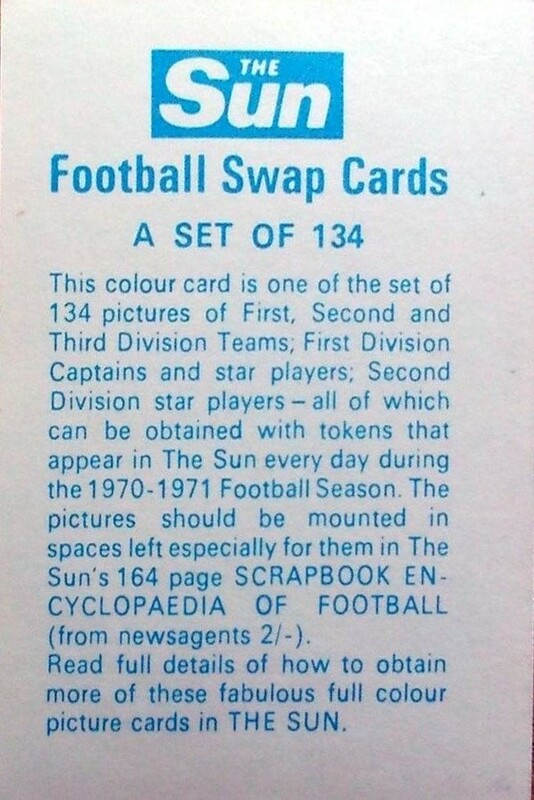 The 'blue backs' given out with various editions of comics such as Scorcher, Tiger, Buster, Smash and Lion. 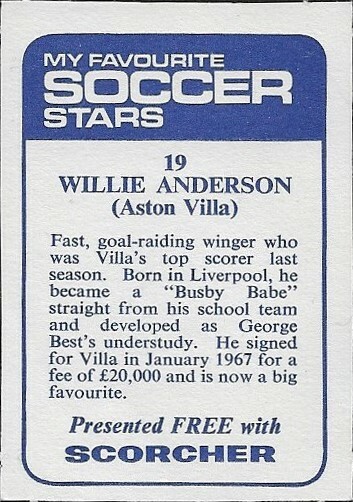 The 'red backs' given out with various editions of comics such as Lion, Thunder, Buster, Jet and Valliant.